Today's guest blog post comes from Sharon de Hinojosa, the author of the excellent tefl-tips.com. She is an Assistant Professor at the Sungkyunkwan University, Sungkyun Language Institute, in Korea. She gives you the ins-and-outs of getting a job teaching English at a Korean university. I work at one of the top five universities in Korea and I got the job while overseas, something most people said was impossible to do. I’ve been teaching English for 9 years now, and 6 of those have been at universities. I’m not yet 30 either. University jobs in Korea aren’t what they used to be. Granted most jobs in Korea aren’t what they used to be. The golden days are gone. Most of my friends have been in Korea for over a decade and they say that if you take the cost of living into account and inflation, they make less now than they did when they first came here. That being said, if you’re looking to teach English, Korea is one of the best places to save. The cushy university jobs offer months of paid vacation. I get 5 months. If I teach classes at my university during the break, I can double my salary. Not bad. So are you interested in teaching at a university in Korea yet? If so, then read on. There are two different basic types of university jobs: unigwon and regular university jobs. Unigwons, named for university and hagwon, usually have you teach some kids’ classes. Regular university jobs will have you teaching adults; university students usually between 18 and 24 years old. Regular university jobs can further be divided into two categories: teaching credit courses and teaching non-credit courses. Credit courses often pay more and are regular subjects that are taught in English, such as Science, Business, Writing, Presentation, Literature, and so on. Non-credit courses usually pay less and are usually the 4 skills or conversation classes. So now I bet you’re thinking, sounds great, sign me up. Now just hang on a second, let’s see if you’re qualified. If you’re going to teach classes in English, you have to have a passport (and they usually require most of your education to have taken place using English) from an English speaking country and those are Australia, Canada, Ireland, New Zealand, South Africa, the UK, and the US. French Canadians might have difficulties, every university is different. Next you’re going to need a bachelor degree and that also has to be from an English speaking country. Those are the basic qualifications. If you get an E2 visa, which is an English teacher visa, you’re also going to have to have a current, clean federal background check. Even though you’ll be teaching at a university, most employers will get you an E2 visa rather than the coveted E1 professor visa. For the E1, you’re going to have to have proof of two years teaching experience. The more qualified you are, the better. If you’ve been to conferences, given workshops, been published, done a masters degree, completed a TEFL course (with at least 120 hours and 6 of teaching practice), written a thesis, then great. Keep in mind that more and more universities are asking for masters degrees and at least two years university experience. With Korea being flooded by English speakers who can’t get work back home, universities can afford to be picky. I’ve seen licensed teachers and people with PhDs working alongside with fresh off the boat graduates and they’re all working at public schools making about the same. The main hiring season starts October 1st for a March 1st job. The academic year begins on March 1st here in Korea. The other hiring season is in the spring for a September 1st start. Right before the semester starts is another good time to look for jobs because some teachers decide to accept jobs elsewhere at the last minute. This means the university has to scramble to find a replacement. If you haven’t already scanned all your docs, then you should do that. Employers commonly ask for your CV (with photo), cover letter, degree, transcripts, certificates, passport, and reference letters. Some university jobs are extremely competitive. Those in Seoul are usually more difficult to get than those outside of Seoul. That being said, some universities have two campuses and often pay up to 500,000 won a month (currently $435 US) extra for the teachers who are at the campus that is NOT in Seoul. Cost of living is lower outside of Seoul as well. 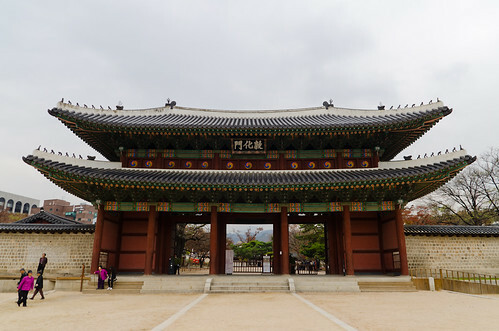 Korea University, Hongik, and Yonsei university which are part of the SKY universities have campuses outside of Seoul. The SKY (Seoul National, Korea, Yonsei) universities, KAIST, Ewha, Hongik, and Sookmyung are pretty competitive positions, so if you’ve never taught in the Korean university system before it might be difficult to land a job there. However, you’ll never know unless you try. Age and being outside of Korea will work against you. Most universities have a cutoff age of 50 or 55. Mine won’t hire teachers over the age of 45. If you can’t interview in country, some places won’t consider you. Some may do a Skype interview. Some universities have a cap for how long you can teach there. Most are capped at 5 years because that’s when the pension contribution for employers goes up, though some are capped at 2 or 4 years. Salaries vary as do hours. I’ve seen universities pay as little as 1.8 mil won ($1,566US) for 20 hours a week and up to 3.7 mil won ($3,219US) for 12 hours a week. Overtime is also nice and can vary between 20,000 won up to 50,000. I’ve taught a class that even paid 100,000. The great thing about universities is that you can get extra work at the university legally. From teaching other classes, to proofreading, editing, writing books, tutoring professors, teaching camps, or even voiceovers, there are lots of chances to pick up extra hours. My contract calls for 15 class hours, which is 5 classes, and everything over that is overtime. I usually teach 8 classes and of those all are credit classes except one. Six classes meet twice a week and I teach the same lesson to each class, meaning I only have to prep two lessons a week. One class is a conversation class that meets four times a week and one class is a culture class that meets once a week. I’ve created the curriculum for the conversation class and culture class and have applied to teach a current events class next year as well. We have to keep 3 office hours a week, but that’s not too hard. One thing that has to be said about university jobs is that admin is often hands-off in the sense that you are expected to be an experienced teacher and should know what you’re doing. So they’ll give you the book and tell you how many essays, papers, quizzes, and exams there should be and you’re expected to create a syllabus as well as the topics for the essays and papers and write the quizzes and finals. As with any job in a foreign country, there are going to be cultural clashes. Keep in mind that losing face is a big deal in Korea, so it’s best to smile and nod, keep your head down, and do your own thing. If you’re looking to get into the university system in Korea it’s usually difficult to land a plum job outright. What many teachers do is accept any university job, stay for a year or two, and then apply to better universities. Once you’re in the university system, you’re golden. Some teachers aim for the prestigious famous universities, others want few hours, or a high salary, or lots of vacation, or all of the above. Some of the best university jobs are at universities that few have heard of and that’s probably the reason why the job is so good. Most universities advertise at eslcafe.com and it might also be worth checking out The Chronicle, tesol.org, and HigherEdJobs. There are still a couple months left during the main hiring season, so get your docs together and start applying. Thanks for publishing this. I'd love for you to do a guest post on my blog as well. @Sharon: I plan to. I'm just super busy with the upcoming move to Paris and the book I'm writing. I have almost no free time. "I work at one of the top five universities in Korea." No, you don't. Your university is top thirty, and that is being generous. Nice post but somewhat missleading. This is not a top 5 University in Korea and in fact this particular teacher may be working at the "unigwon". 2- "Been teaching English for 9 years, 6 of those at Universities and not 30 yet"
Does this mean that this person started teaching in Korea at the age of 21? 20? 19?. Does this mean this person got hired to teach at a Korean University at the age of 23? 22? 21? Some of the tips are useful and some of the information is accurate and helpful but the blog piece itself is fishy, sorry. PS I have been working in Korea, on and off since 1997, including several years at a University. I too have been teaching here since 1996, 13 years at a university in Busan. The above article has great points but is also wrong and fishy, anonymous above is right. Universities are not what they used to be. The place I work was great but has become worse.